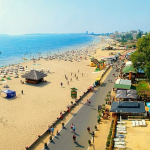 The winter resort of Borovets – a perfect place for you to stay when outside is cold and snowy and more especially when you attend to go in the mountain for an exciting family vacation! Imagine yourself how skiing while the snow is falling down making an amazing white cover that creates a sensation that you are in a real snowy fairy tale! Do you agree that it sounds awesome? If you have already imagined this picture and the desire to go there becomes more strongly, then stay here to convince yourself why the ski resort of Borovets worth to be visited! Located in the Rila Mountains that is so gorgeous with its picturesque and beautiful nature, this place is like a dream come true when it comes down to winter holiday, ski holiday, or just a relaxing vacation in the mountain… Whatever activities you prefer while on vacation, the amazing resort of Borovets will not disappoint you! There you can have not only a ski vacation, but a relaxing holiday too. 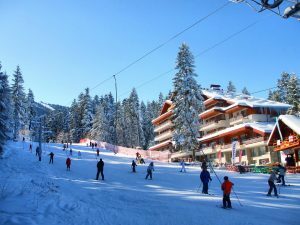 You can practice your favorite winter sports all day long and then to go to some of the local restaurants for having a pleasant dinner among peaceful and cheerful atmosphere… Have in mind that all the restaurants in Borovets offer to the resort’s quests excellent cuisine and huge diversity of beverages. Except this, being in some of the taverns in Borovets you will have the pleasure to enjoy the incredible folklore music that will make you dance all night long (this will be your chance to learn how to dance the typical Bulgarian dance that is also called “horo”). Go to Dubrovnik and enjoy the beauty of this town! 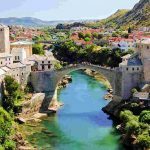 Comments Off on Go to Dubrovnik and enjoy the beauty of this town!